Thoughtful architecture and innovative designs can transform a city and give it new life. 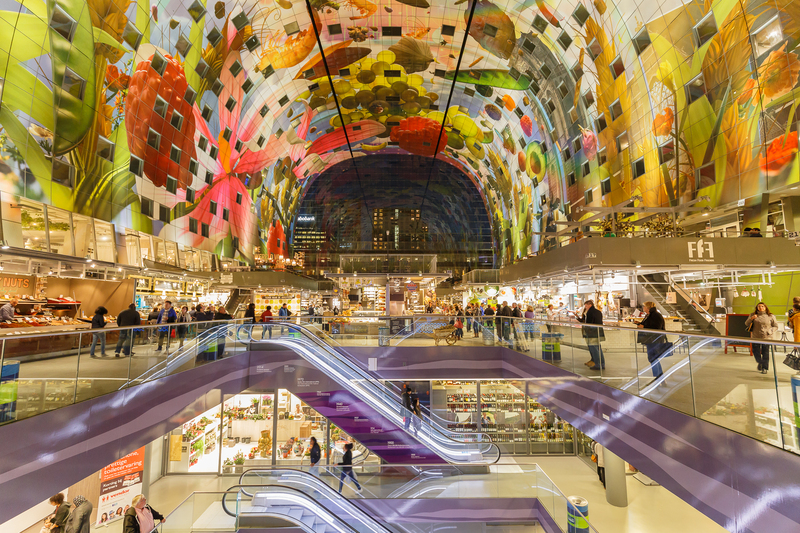 Rotterdam is experiencing such a transformation, thanks in part to Markthal, which opened in October 2014. Designed by MVRDV, Markthal is a sustainable combination of food, leisure, and living, fully integrated to with each other. A secure, covered square emerges beneath an arc, conceived as an inversion of a typical market square and its surrounding buildings. During the day it’s a central market hall and at night it’s an enormous, covered, well-lit public space.